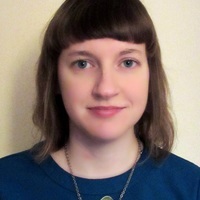 Dr Laura Kelly (CHOMI, UCD). In 1831, sixteen-year-old Robert Thompson from Kilkenny began his medical studies at Dr Steeven’s Hospital, Dublin. During this year he resided at the hospital, ‘where a number of wild fellows messsed in our room, generally spent our evenings sparring and drinking punch and going into the upper gallery at the theatre’. He then went on to train at the Royal College of Surgeons, remarking that, in 1834, he spent ‘a jolly winter, drank a great deal of punch’ and went to the theatre at least two times a week. Thompson’s recreational activities were not, however, confined to drinking punch and going to the theatre. On his twentieth birthday on the 20 October, 1836, he noted the following in his diary. ‘I am twenty today. Dined at O’Hara’s in the evening. At Bull’s got into a fight. Browne and I well beat by six or seven fellows. J Healy lodged a pound for me and him. In the morning went to College Street. No prosecution’. 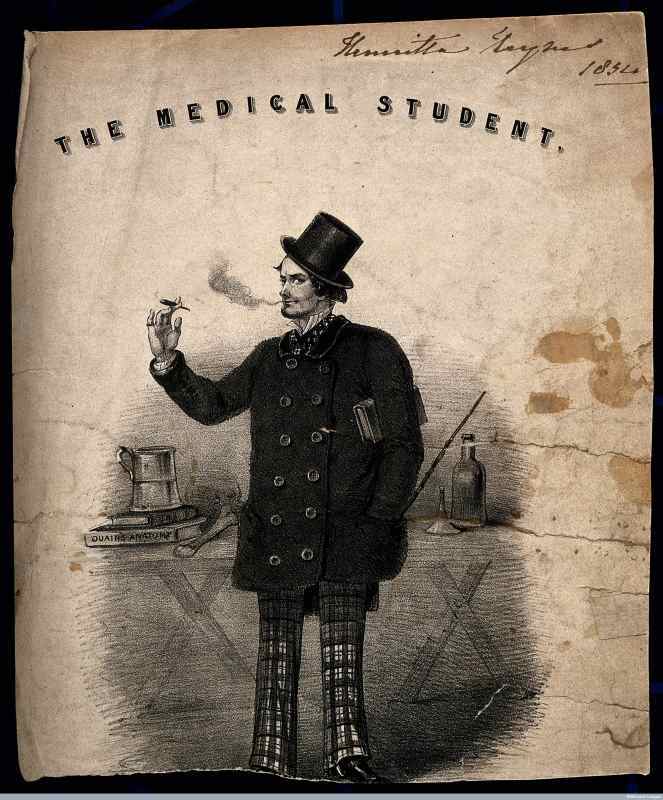 As historians of medicine have shown, the medical student of the early nineteenth century possessed a dire reputation. Incidendence of criminal, drink-fueled, and rambunctious activity among Irish medical students were widely reported in the first-half of the nineteenth century. In particularly, Irish students had a reputation for being less gentlemanly and less educated than their counterparts from other countries. William Stokes, the Irish physician, speaking in 1855, commented that an acquaintance of his who was head of one of the departments of the public service had remarked: ‘We get from Ireland some of our very best and very worst men’. Stokes asked him what the latter were lacking in, to which he replied, ‘in conduct and in common letters’. Keir Waddinton’s work has explored how and why the image the image of the rowdy medical student came to be perpetuated in early nineteenth century London. He has suggested that such stereotypes emerged as a consequence of fears about the city and rising crime rates with their reported behaviour embodying the corrupting influence of the city. At the same time, these stereotypes reflected the low and uncertain status of medicine. The flexible system of training whereby students selected which lectures and schools to sign up for left a considerable amount of time for the sights an delights of London. Lecturers at St Bartholomew’s Hospital in the late nineteenth century were willing to accept certain types of behaviour because they were familiar with student culture and recognised that such behaviours were an important release from the demands of study. This paper examines Irish medical student culture and behaviour . It argues that class and the economic aspects of the Irish context are important factors to bear in mind. Irish medical schools competing for students were more likely to turn a blind to students’ rambunctious behaviour. The social backgrounds of medical students were also important. Finally, this paper dissects these instances of boisterous behaviour from the student perspective, emphasising that it was the gruelling nature of medical study, poor living conditions and lack of supervision and colleagiate accommodation which also resulted in student engagement in these activities. This paper also touches on student involvement in medical student socieites and in sport and how these activities helped to solidify their sense of professional identity. In 2015 Laura Kelly’s monograph, Irish Women in Medicine, c.1880s–1920s: Origins, Education and Careers, was published by Manchester University Press. Prior to taking up her current position as a lecturer in the History of Health and Medicine at the University of Strathclyde, Laura held an Irish Research Council postdoctoral fellowship (2012-2014) at the UCD Centre for the History of Medicine in Ireland. She is currently writing up the research from this project on the educational and extra-curricular experiences of medical students at Irish medical schools in the modern period and which is provisionally entitled, ‘”Merry boys and winsome women”: Education, experiences and the shaping of the professional identity of Irish medical students, c.1800-1950’.